BOOK 5 — Talon has returned to Acre the crusader port after more than a year in Byzantium. He is now a rich man, the owner of ships and and in possession of a license to play the merchant within the Empire to the north. However riches bring enemies and his past is about to catch up with him as accusations of witchcraft have followed him from Languedoc. An investigation is about to disrupt his life but then everything is changed when he travels to a small fort with Sir Guy de Veres his Templar mentor. They survive a daring attack by ‘Assassins but here also he obtains vital information about Rav’an.Before he can act upon the stunning news, the kingdom of Baldwin IV is threatened by none other than the Sultan of Egypt, Salah Ed Din, who is bringing a vast army through Sinai to retake Jerusalem from the Christians. Talon must take part in one of the most significant battles of the time, Montgisard, to help ensure the continued survival of the Kingdom of Jerusalem after which he can set out to find Rav’an and honor his promise made six years earlier. The ‘Assassins of Rashid Ed Din the ‘Old Man of the Mountain’ have targeted him for death having obstructed their plans once too often. 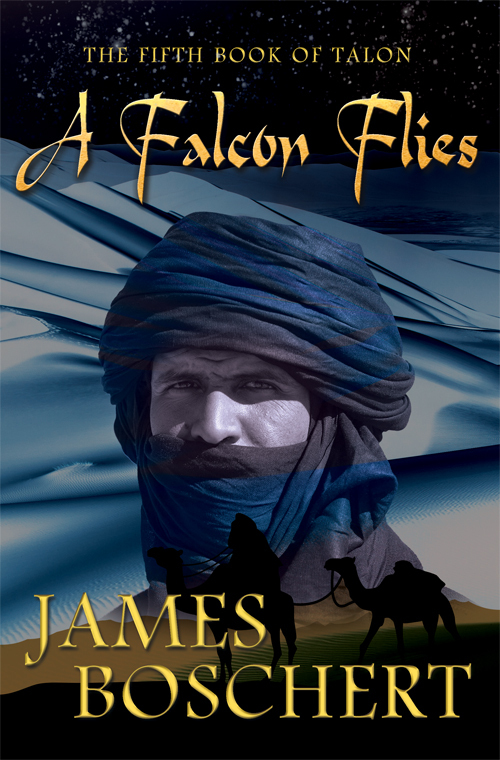 He is forced to take a circuitous route through the deepest reaches of the southern deserts on his way to Persia to avoid them, but even then he faces betrayal, imprisonment and execution soon after.His sole objective is to find Rav’an but she is not where he had expected her to be. Once more he must become the assassin and join forces with his long time friend Reza to find her in time and find safety for them all.